First: taste with your eyes. What color is the outside (rind) versus the inside (paste)? Is the texture uniform? Are there holes (“eyes”), cracks, fissures, salt crystals, white patches, color variation? Is it weepy and wet? Crumbly? Sweaty? Many styles or families of cheese can be identified just by the color of the rind or the interior paste. Second: taste with your nose. A lot of the “tastes” of food, and cheese is no exception, are not determined by your tongue, but by your nose. Your sense of smell kicks in while chewing, but continues to direct your impression of flavor long after you’ve swallowed. Third: taste with your mouth. Your tongue is actually a limited tool. It can detect sweet, salty, sour/acidic (mouth watery), and bitter. These impressions are focused on specific areas of the tongue, so look for sweetness (or the absence of sweetness, a kind of puckery tannic feeling) on the tip of the tongue. Sourness comes in the form of astringency on the sides and back of the tongue, usually accompanied by an instant mouthful of saliva. Bitterness catches you where your tongue meets your throat, way in the back, almost as if you’re trying to swallow a prickly little pill. Salt is concentrated on the front sides of the tongue. Also trust your mouth to suss out the texture of a cheese. Many cheeses look great on the plate, only to feel like rubbery eraser or mealy, greasy particles once you chew them up. Well-made cheese may have many different textures: like airy whipped cream that dissolves in the mouth, or heavy and moist like a lump of cheesecake, or packed clay that smears on the roof of the mouth. 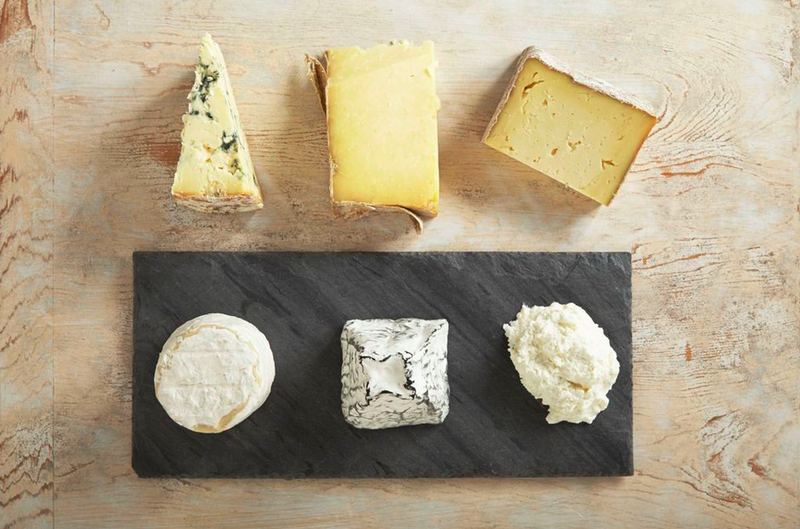 There isn’t a “right” texture, but there are cheeses with an exceptionally pleasing texture. Right indeed. I don’t do a lot of building licking. It made me realize my total oversight in not discussing the importance of retronasal, or, as it’s better understood, tasting with your nose. When you eat cheese (or drink wine) there are very specific physical sensations associated with taste: sweet, salty, sour/acidic, bitter. But your mouth is actually quite limited. Most of the romance of food comes after it’s been swallowed. You exhale. A breath of air rushes up the back of your nasal passages and out your nostrils and suddenly there are a million sensory impressions, most of which have to do with smell: grass, hay, stone, soil, leather, soap, perfume, swimming pool, lead, pencil eraser, and on, and on. Tasting is experiential—cheeses recall certain places I’ve visited and experiences I’ve had, because the retronasal impression is about dozens of ancient and far distant smells, instantly, magically, recalled by a cheese. That’s a big part of the challenge in communicating flavor—you may not share my frame of reference, or even tougher, you may not know my frame of reference. So, taste with an open mind, but more importantly, taste with your nose. Taste after you’ve swallowed. And enjoy whatever summer camp, root cellar or horsebarn an innocent bite of cheese can return you to.